Osu! It's Kazu from the Honbu. 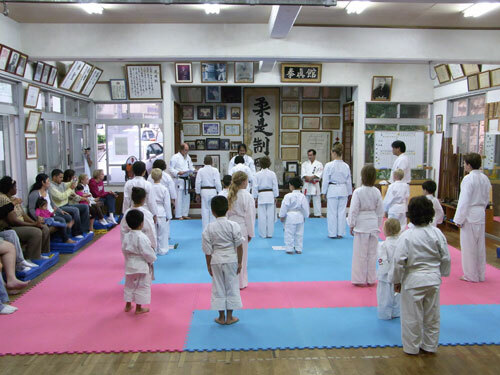 We recently had a dan/kyu testing. Emma in the middle is our youngest student. Isn't she cute! 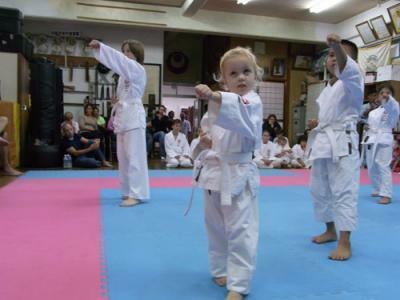 She is at the tender age of 4, yet developing so well as a karate student. We had a large number of students being promoted. 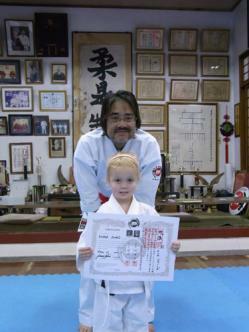 Special congratulations to LouBee from the Honbu for attaning the rank of Shodan. who successfully attained their Shodan rank. Congratulations to all! 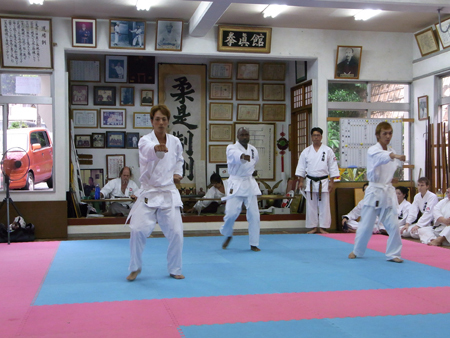 We had Nikawadori Sensei on the judging panel along with Kaicho this time. 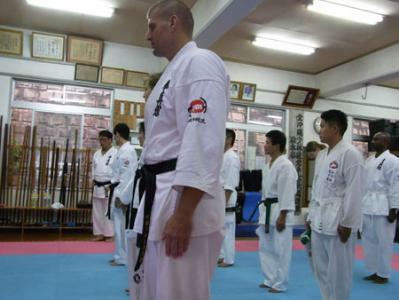 worn-out red and white belt Grand Master was wearing more than 20 years ago. Grand Master had looked like a real hero to me. but there is one thing I want everyone to understand. Your kyu grade comes down in number and dan rank goes up. 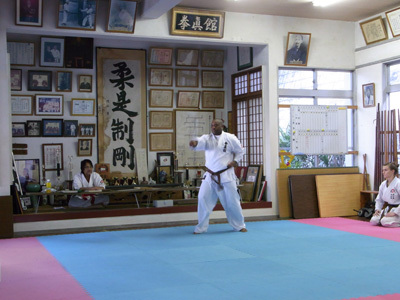 When you get to Shodan, that's really a starting point of your karate journey. I will remember to remind myself that I've merely reached a starting point and should not be complacent. Hopefully, I can stay focused to be a role model of some sort! Isao Kancho (Head of Dojo) with Emma chan. among the overseas members of the Federation. Osu! It's Kazu. 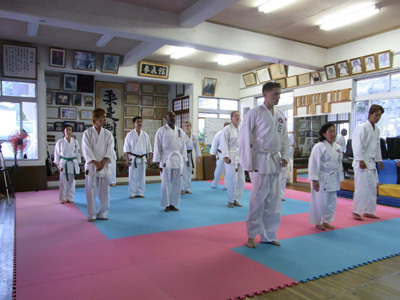 Dan/kyu grading (testing) took place on July 11.
who attained his Shodan rank! Everyone worked hard. 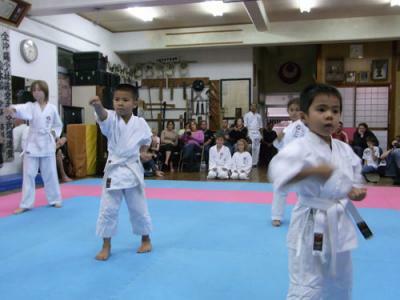 It is a step forward on their karate journey. A special event is coming up later this month. I know that everyone is busy, but let's work together! P.S. 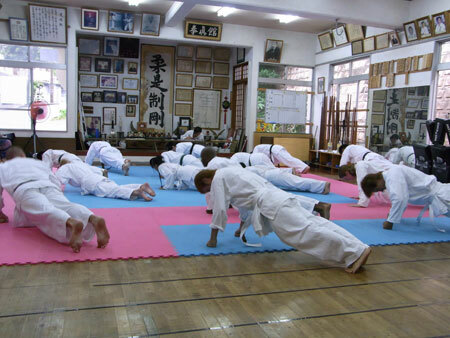 It is exciting to see new members joining in the recent months. But they keep me on my toes! I had better train hard to stay ahead of them.